Gather round, youngins, and listen as an old pop culture web site slings its tale. A tale of them Before Times, the Brighter Age, when a movie studio could walk off the street into a book store, grab any book with a Young Adult sticker and a big red fireball on its cover, and turn it into a billion-dollar blockbuster movie franchise overnight. But that was in The Good Days, when the Mazes were still Run, and the Games still Hungry. That was before the Dark Times. Before The Divergent Series: Allegiant. Now, the prophets at Variety (“All hail Variety”) are reporting that the lackluster box office returns for the third installment in the Shailene Woodley-led franchise—laid low by the powerful animal people of Zootopia—have endangered the YA-dystopia movie world. 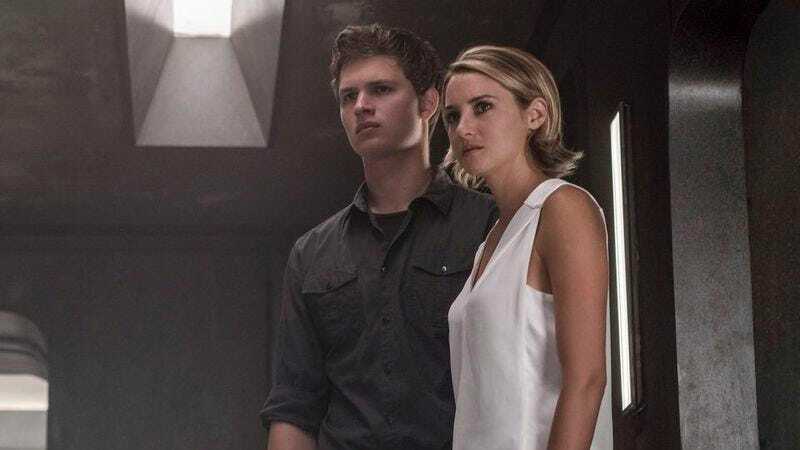 According to Variety (“All hail Variety”), Lionsgate is discussing dropping plans to adapt the second half of Veronica Roth’s final Divergent book as a film, instead shunting The Divergent Series: Ascendant over to the wasteland of TV. The series proper would finish up with a TV movie, before transitioning into an ongoing show, produced by Lionsgate TV. Divergent was once the prophesized, studio-saving Chosen One for Lionsgate, which hoped it would be able to fill the absent throne The Hunger Games once held. Now it will wander the networks, looking for a new home, with only the signs of other, more popular post-apocalyptic TV shows—like The 100—to guide it on its way. Meanwhile, the once-fertile world of Young Adult dystopian fill will lie fallow and broken, another testament to man’s inhumanity toward man (or books about teenagers saving the world from weirdly specific post-apocalyptic threats, as the case may be).